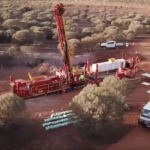 Australian Vanadium (AVL) has completed a large-scale metallurgical and resource sample collection which will accelerate its Australian Vanadium project (formerly Gabanintha) pilot study off Meekatharra in Western Australia. The drill program collected a large tonnage sample of dimeter diamond core that can be used for detailed pilot test work, including the ability to scale the process correctly for future mine production – an industry best standard. AVL succeeded in doing this by targeting blends of material types that would be typical of material mined from the proposed open pit at the Australian Vanadium project. Having completed the collection of the core for the pilot study, AVL is on schedule to complete both their pilot study and definitive feasibility study in 2019. AVL plans to proceed with engineering design and construction in 2020, with the objective to start mining operations in 2021. 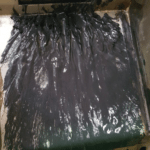 “Testing 30 tonnes of our target magnetite blend is necessary for a project like AVL’s. The data collected from this pilot program will de-risk the final design and assure investors that the project will achieve production and quality targets,” said AVL managing director Vincent Algar. “Projects of this scale must be designed and built with high confidence in the outcome and this can only be attained by a well-managed pilot program. AVL’s world class team has all the experience in vanadium to know what to look for, and we will achieve the best possible process by thorough and efficient evaluation. 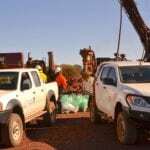 Diamond core of all materials was drilled during the program and Algar noted the substantial thickness of the vanadium titanium magnetite deposit had allowed the company to successfully execute the downdip drilling method. 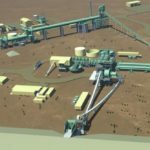 “The time and cost savings gained by using this method match our accelerated time line to achieving production in 2021,” Algar said. “We have learned a significant amount more about our amazing deposit by this well executed drill program. One key discovery is the presence of less weathered, highly magnetic material at the surface within our designed pit length.